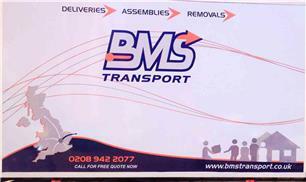 BMS Transport was founded in 2007 as a small family run business. Having more than six years experience in this field, we not only pride ourselves on our excellent service and attention to detail, but also on providing great value for money. We guarantee a competitive pricing structure, which will satisfy our clients. Our team can alleviate all the stress of moving homes with our full packing service - packing and relocating your belongings from start to finish. All packing materials will be provided and delivered to your home at your convenience. These materials can include wardrobe boxes, bubble wrap, sofa and mattress covers. Our professional home removals team can even dismantle and reassemble your furniture for you. We work closely with around twenty different commercial clients to whom we provide a reliable, efficient and trustworthy relationship. With such excellent service and affordable house removals, why not give us a call here at BMS Removals for advice and estimates. Whatever your requirements you will be satisfied.